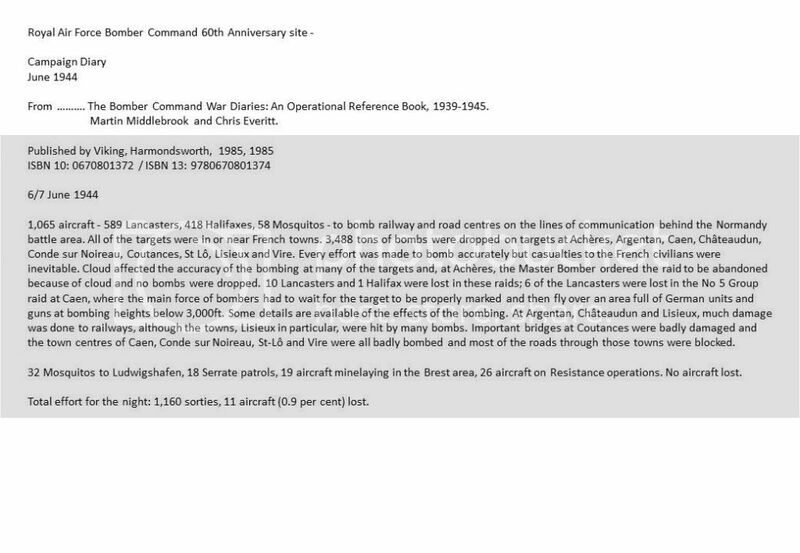 This is the Forum of Squadrons, Crews and Aircraft of Bomber Command & Related Luftwaffe personnel and aircraft. I was told that Flight Officer Dryllie's son-in-law was enquiring after his war record and it would be great if I could contact him also. Thank you in advance for all replies. I can't assist with any specifics but a good source of memories from Australian aircrew is the Australians at War Film Archive - see http://www.australiansatwarfilmarchive. 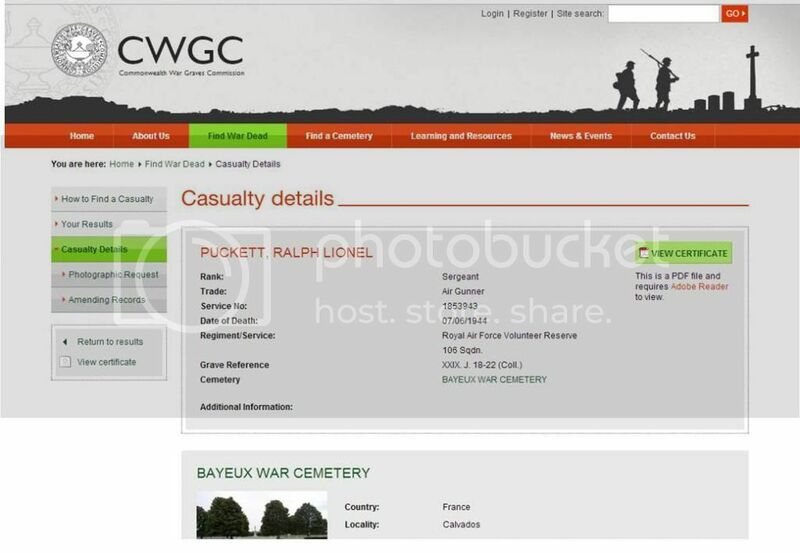 ... earch.aspx - which was set up from interviews made in the early 2000s with surviving veterans. 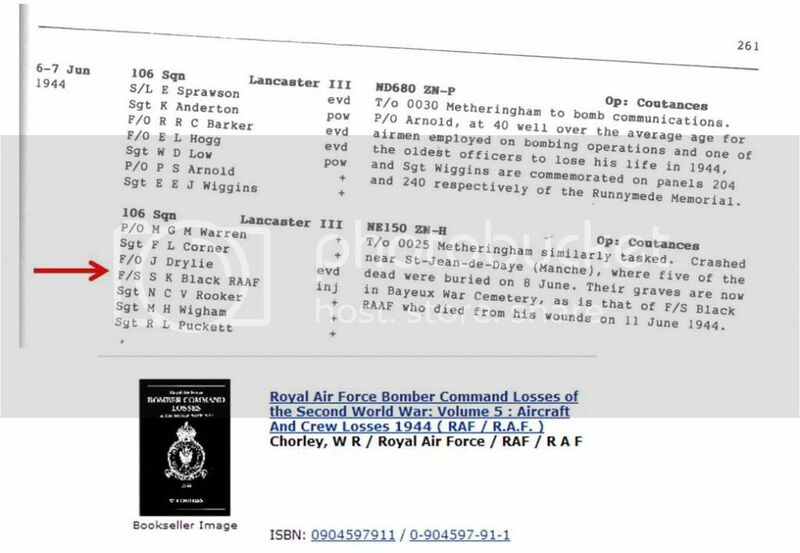 There are eleven transcripts there from bomb aimers.Use the dropdown menus: select World War II, then Bomber Command then Bomb Aimers, and click 'search' and they should all appear in a list for you. The interviews cover their entire lives - from first memories through growing up, enlisting, training and operations and whatever happened next. 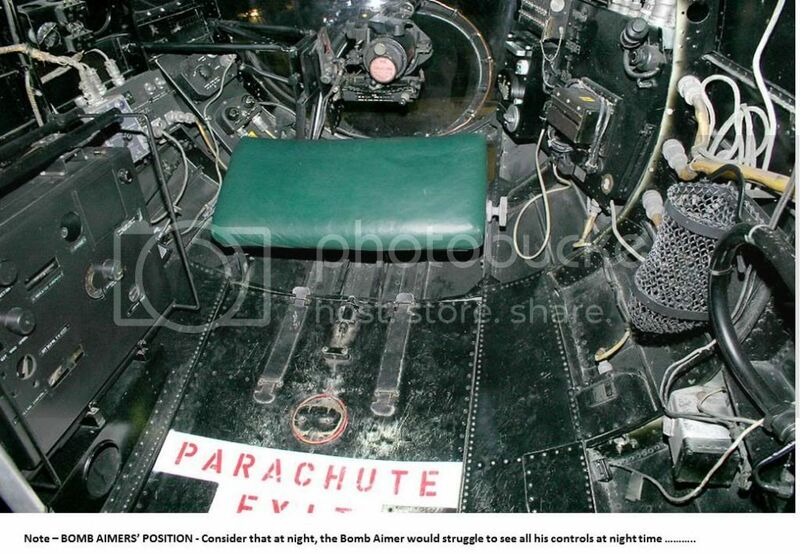 They are quite long in places but well worth a read for an idea of what the times were like! Hi Liane, good to see you found the forum. I still haven't received your email as yet but you are here and that is the main thing. I will have a look and I'm sure the members can assist you too. As Adam has mention, the Australian files are a great source of detail. Thank you to all that have replied so far all information gratefully received. Regarding your research, I assume you've read Black's casualty report and are aware of the unfortunate circumstances regarding his death? Yes, I live in the village where he died. The local mayor is an historian and published his tragic story in our parish magazine. I have since been trying to find out more about him and his crew. I went to 69th anniversary commemorations at the cemetary in Bayeux where he is buried and my family and I laid a poppy cross on his grave. I have tried without success to find a memorial plaque to the five crew who perished with the aircraft and were initially interred in St Jean de Daye. 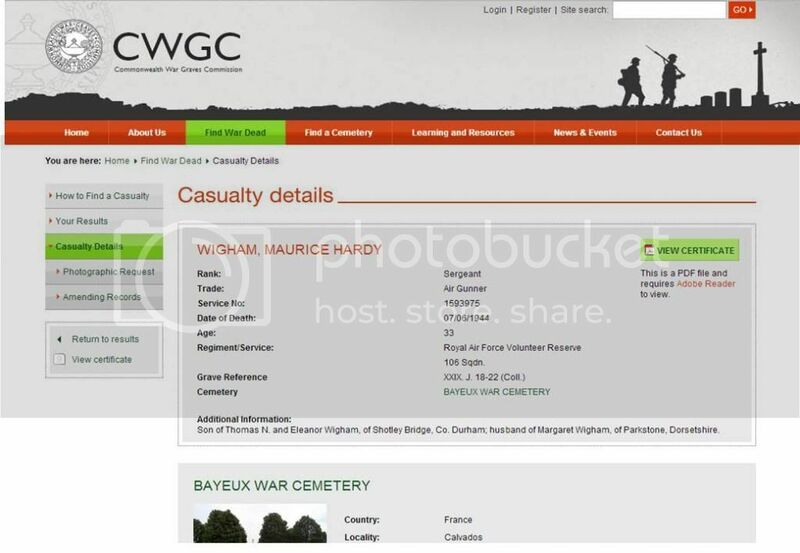 I do however have a copy of a photograph of their original resting place and will be contacting the mayor of the village to request that a plaque is erected in their memory. 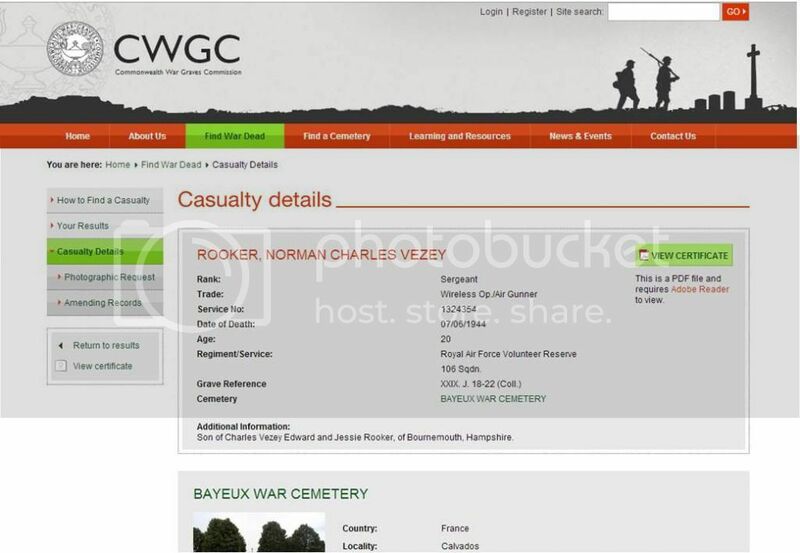 That is one of the reasons that I am trying to contact anyone who may have been related to the crew. Ah that's good Liane. It seems there was some initial confusion about the fate of P/O Warren but that was resolved eventually. If only Black had stayed undercover like Drylie instead of joining the American parachutists, he may well have survived the war. If you look on this thread viewtopic.php?f=25&t=424&start=40 you'll find a picture of the crew, but you may have already discovered this. I'm assuming the member of this forum called Pindas is Drylie's son-in-law in which case it should be easy to contact him. Great News!! I have been given the go-ahead to create a memorial to the crew of NE150 who died in the early hours of 7th June 1944. Not so good news is the mayor is keen for it to be in place for the 70th anniversary commemorations, which doesn't give me much time!! I would love to find any relatives of the crew who died. 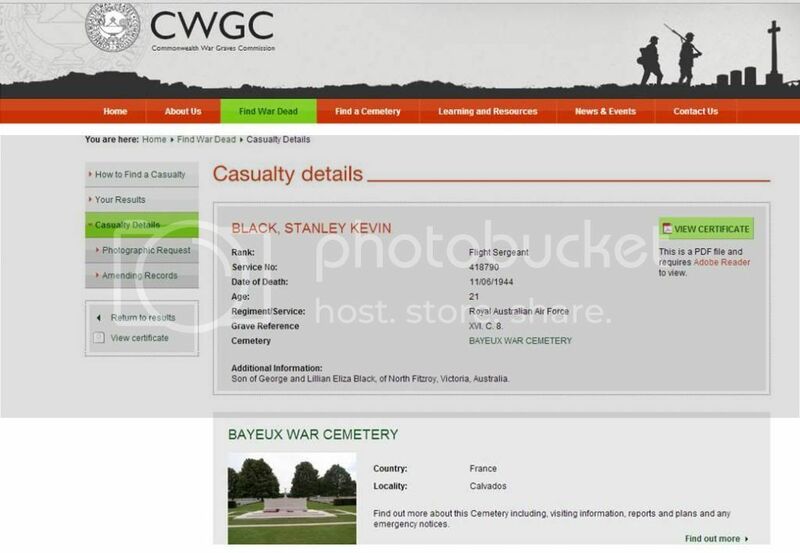 A wonderful ex RAAF serviceman contacted me through the bombercrew forum and with his help we tracked down the family of Stanley Black; his great-niece is now coming over to France for the re-dedication of a new memorial in Graignes, where he died 70 years ago and which will now feature his name. 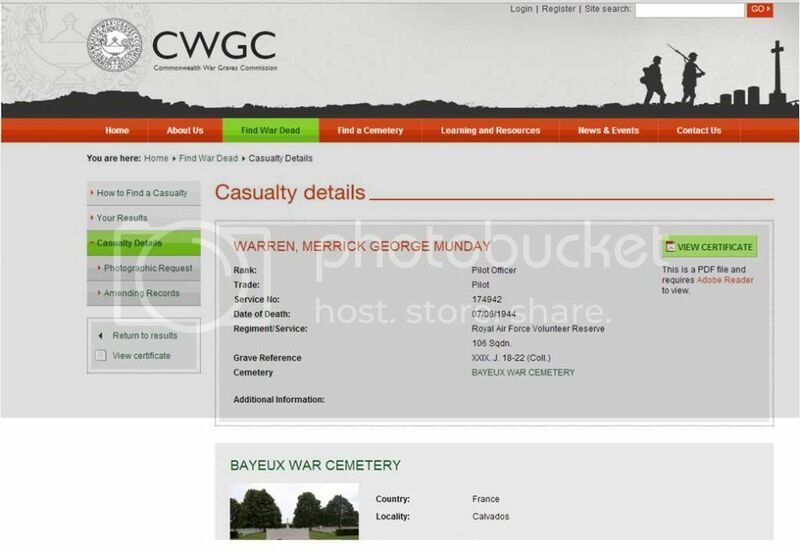 There will be a big ceremony in Graignes in Manche on Saturday 7th June at 17h00 at the memorial. Liane: When I don't work I also live in Manche department so I'll be glad to help you. 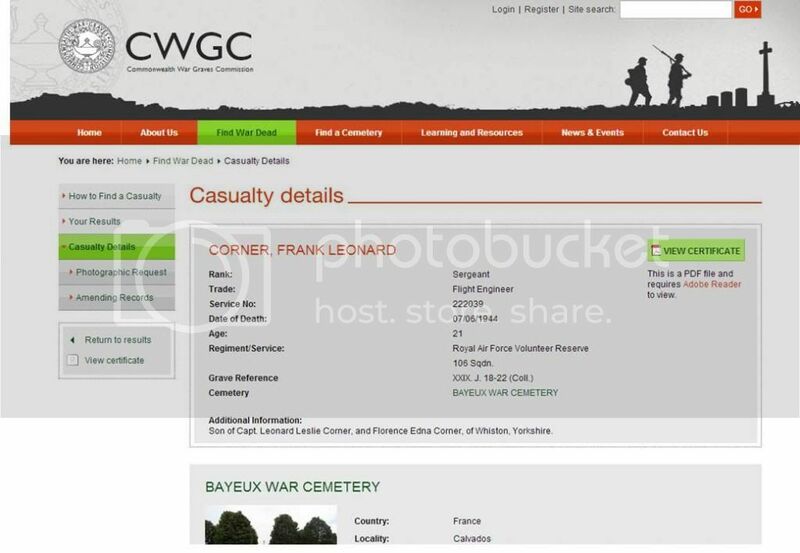 Is there a possibility to create a provisional memorial?